The Most Energy Efficient Refrigeration and Air Conditioning System in the World. with a projected lifespan well in excess of any other system. Electricity prices annually continue to rise – to counter this you have two options; renewable energies or reducing demand. Our patented technology can reduce energy consumption by up to 60% on most types of commercial refrigeration and HVAC. The most efficient refrigeration system on the planet. 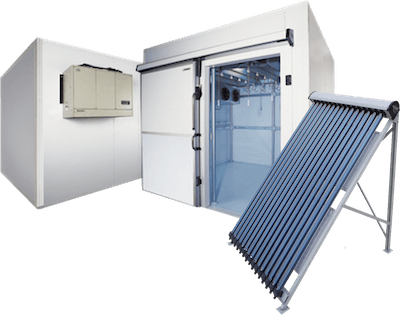 Just add sun…The simple facts are that the free thermodynamics improve the already enviable performance of our unit by up to 60%. Nothing can match that efficiency – Fact. The hotter it gets, the less the compressor works. Saves vast amounts of energy. Eliminates compressor failure due to overheating. Phenomenal ROI with an unprecedented lifespan. 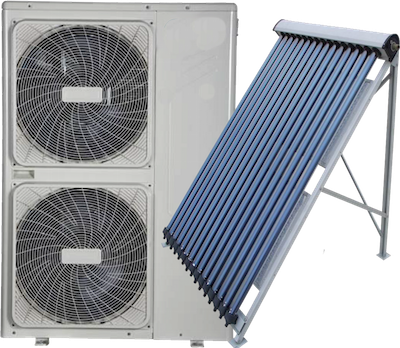 COP figures (cooling capacity versus power consumption) of over 8 are possible on our multi stage compression systems – just by adding the free energy provided by the sun. Retrofit systems are available on most types of refrigeration. ThermX’s ability to massively improve the compressor’s capacity substantially reduces waste energy – reducing overhead and therefore increasing profitability. An unparalleled innovation in heating and cooling. Saves vast amounts of energy, and therefore lowers your energy bill significantly. Massively reduces CO2, helping you reduce your carbon footprint. Eliminates compressor failure due to overheating, reducing your maintenance costs and increasing lifespan. COP figures (heating capacity versus power consumption) of over 8 are possible. ThermX™ systems are rated far above A+++ for energy efficiency with an Energy Efficiency Rating (EER) of 6. When ThermX™ is in operation and the sun is out, no other system in the world can match it for efficiency. SolXEnergy – the only suppliers of this innovative Solar Thermal technology across the world. The ThermX™ system provides energy efficiencies of up to 60% and is manufactured in partnership with the largest DC inverter compressor manufacturers in the world.